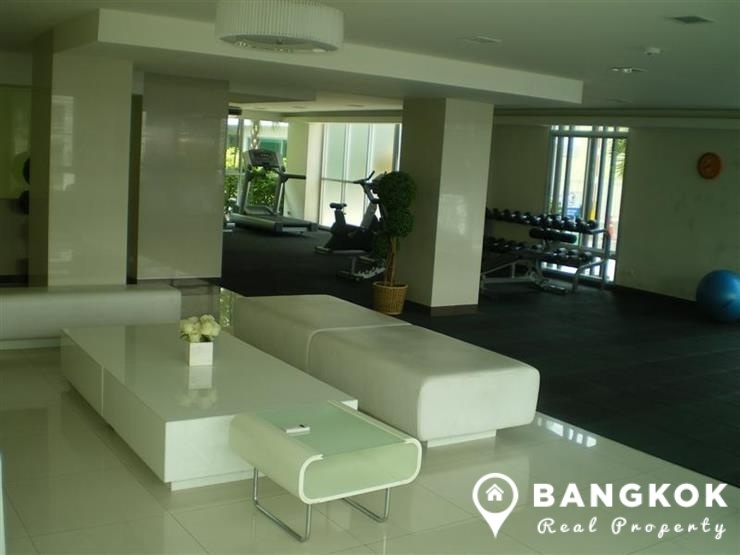 A bright, modern, spacious, 1 bedroom condo is now available to rent at D 25 Thonglor in the heart of trendy Thonglor. 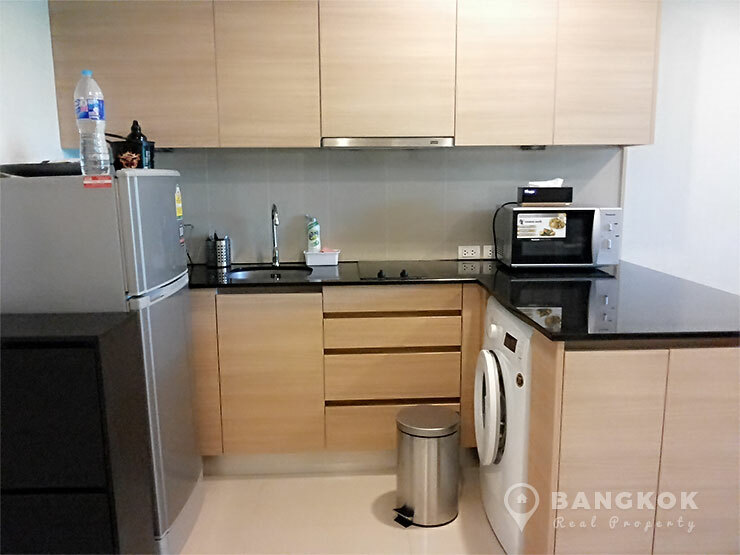 Located on Thonglor 25, D 25 Thonglor is in the centre of the trendy Japanese quarter of Sukhumvit and so not surprisingly this low rise development is inspired by the Japanese art of Origami with the striking yet subtle use of exposed concrete as architectural material exemplified by the work of Modernist master architect, Tadao Ando. 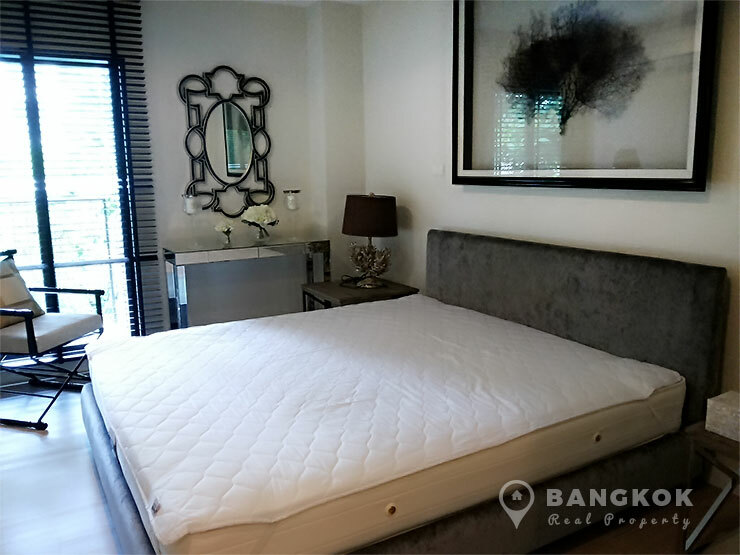 The development is within easy reach of the BTS at Thong Lo and also easy access to H 1, J Avenue, Villa Market,EmQuartier, American School of Bangkok and Samitivej Sukhumvit Hospital. 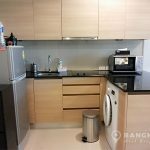 Situated on a lower floor of D 25 Thonglor, this spacious 1 bedroom, 1 bathroom unit is tastefully decorated and comes with a European style kitchen with built in units, electric ceramic hob (stove), extractor fan (hood), microwave, fridge-freezer and front loading washing machine. 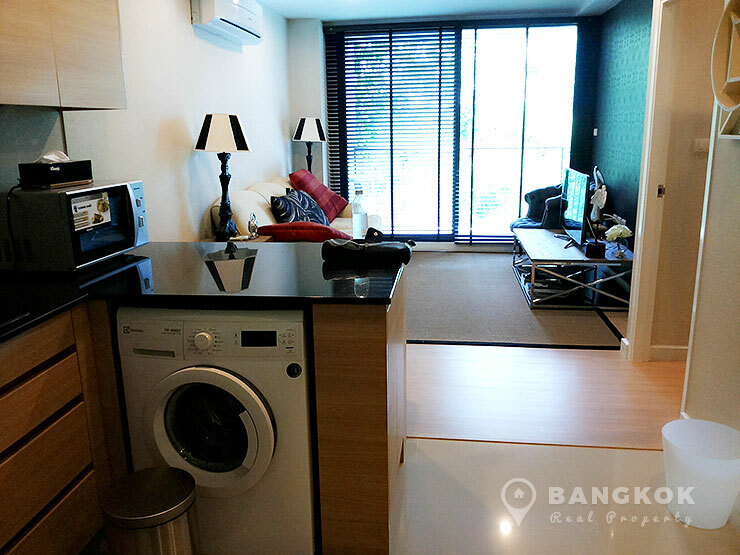 With wooden floors through, a nice balcony and LCD TV in the livingroom and bedroom. 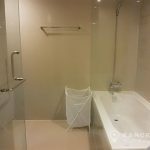 The bathroom has both a shower and bathtub. 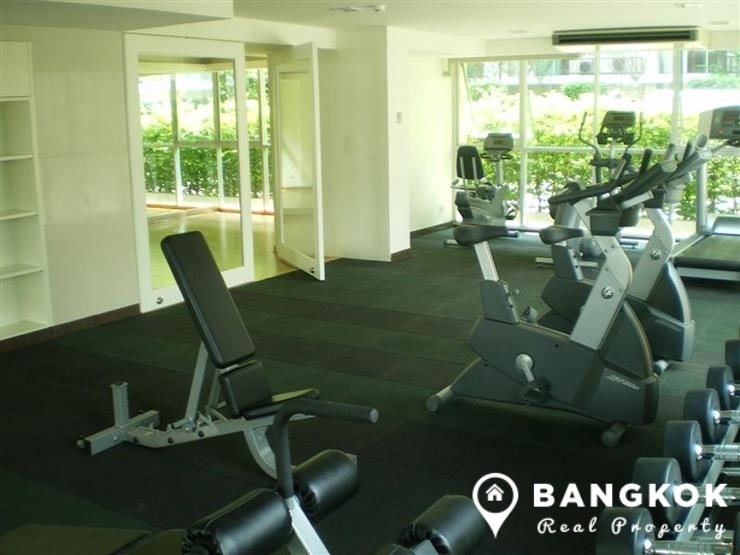 Residents at D 25 Thonglor can enjoy a range of excellent facilities including outdoor salt water swimming pool with Jacuzzi, sun deck with ambiance music, water garden courtyard, WiFi library, fully fitted gym & fitness centre, double height lobby lounge area with reception and outside drop off area, lush gardens and the condo has professional onsite management with covered parking with 24 hour security. 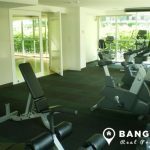 D 25 Thonglor is a condominium project, located just Sukhumvit 55 on Thonglor Soi 25 and within easy reach of Thonglo BTS. 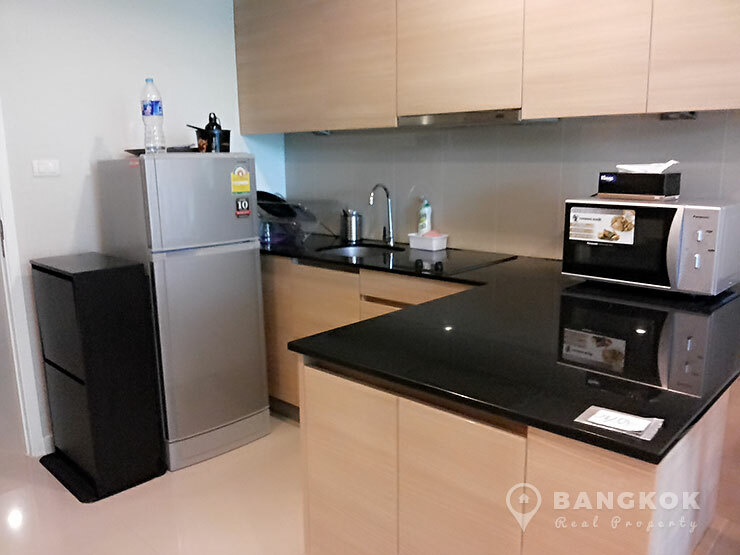 D 25 Thonglor developed by D-Well Development, was completed in 2012 and this low rise project comprises of a single building with 8 floors with 98 units, a mix of 1 and 2 bedroom units.